We’ve been monitoring government updates regarding flights to and from Sharm el Sheikh, so we can give you all the advice you need when it comes to planning your Egypt holidays. The Foreign Commonwealth Office (FCO) is currently advising against all but essential travel to Sharm el Sheikh, for more information and flight updates continue browsing our travel tips below. Airlines including Easyjet, Thomas Cook, Monarch and Thomson have recently released full updates regarding travelling to Egypt. Currently all flights to Egypt from these airlines have been cancelled, however they are offering transfer options and/or full refunds to customers affected. Find out more information about flying to Egypt on our website. 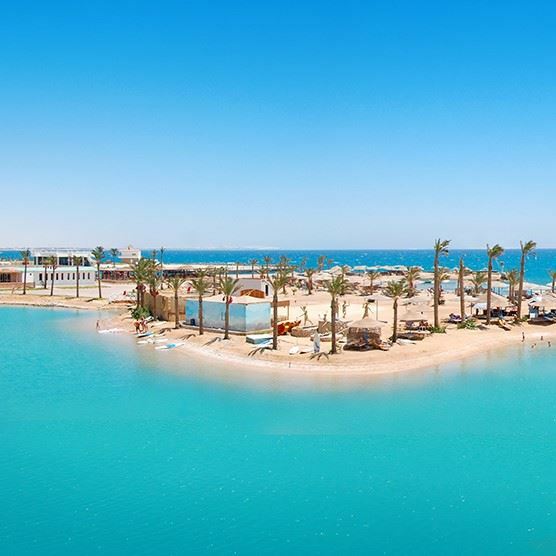 While you’ll need a visa for travelling to most areas in Egypt, including Luxor, Cairo and Hurghada, for beach holidays to Sharm El Sheikh you can stay up to 15 days without one. The same goes for Dahab, Nuweiba and Taba. You will still need a visa for excursions outside of these areas though, which you can pick up from the airport for $25. These visas are valid for visits up to 30 days and are also available from the Egyptian Consulate in the UK. If you wish to stay longer than 30 days you can apply for a visa extension at an Egyptian Passport and Immigration Office. Be aware that you’ll also need a valid passport that has a minimum of 6 months left on it from the date of entry – so make sure you check when yours runs out before you travel! If you're still searching for a winter sun holiday, take a look at our top 25 winter sun getaways and find a destination that ticks all your boxes! Thanks to Egypt's year-round balmy temperature you can visit whenever suits you best, whether you fancy topping up your tan in January's toasty 20's or sun-bathing in July's sizzling temperatures of late 30 +. So make sure you pack plenty of suncream, hats, sunshades and stay hydrated whether you're travelling for summer or winter sun! Travel insurance is strongly recommended for all foreign travel, but it’s especially important in countries such as Egypt where the EHIC card for free emergency medical treatment isn’t valid. You should make sure that your insurance covers all the activities that you want to enjoy while on holiday – for example, watersports or scuba diving on the Red Sea Riviera. Egypt is largely an Islamic country and the local laws and customs reflect this. While no-one will bat an eyelash if you’re in a bikini on a Sharm beach, elsewhere it’s respectful to cover up. You should dress especially modestly if on an excursion to a religious landmark such as a mosque or ‘off the tourist track’ attractions such as traditional souks. Women need to be especially mindful, covering legs, chests and upper arms – a long maxi dress and a pashmini is a good buy and will protect you from the sun too. Men shouldn’t have bare chests away from the beach or hotel complex. Being respectful of the local religion is especially important during Ramadan, which will fall through May/June in 2017. While you’re unlikely to notice a massive difference in the popular resorts, it’s still good to be aware that you’re visiting during the holy month. Drinking alcohol in the street (or anywhere other than a licensed bar or restaurant) is not allowed, and there are strict laws on drugs which mean possession or use can result in long prison sentences. Taking photographs of military areas or buildings is forbidden, and you should also be cautious of photographing other public buildings such as government buildings or train stations. If in doubt, ask. Hepatitis A vaccinations are currently recommended for travellers to Egypt, but check with your GP 8 weeks before you fly. You should also make sure that your routine vaccinations are all up to date. There is also a small risk of bird flu so avoid visiting any live animal markets and make sure poultry and egg dishes are properly cooked through. In an emergency, dial 123 for an ambulance. Be aware that the medical facilities aren’t on a par with those that we’re used to in the UK, so fully comprehensive travel insurance is essential. Make sure you carry enough of your essential medications with you, as you may be unable to get them in Egypt – and take your prescription too.